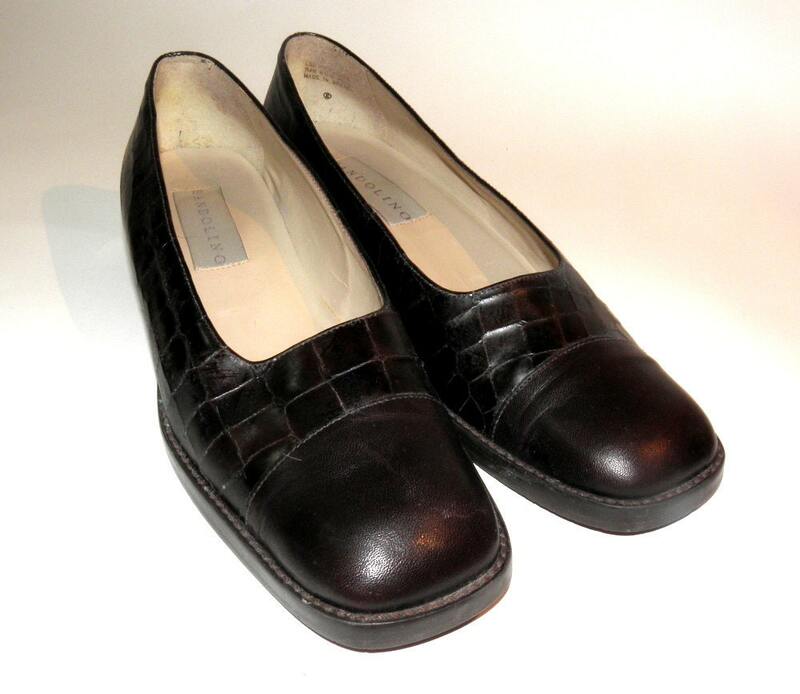 Vintage BANDOLINO PAGEANT Mock Croc Leather Shoes from the Nineties! 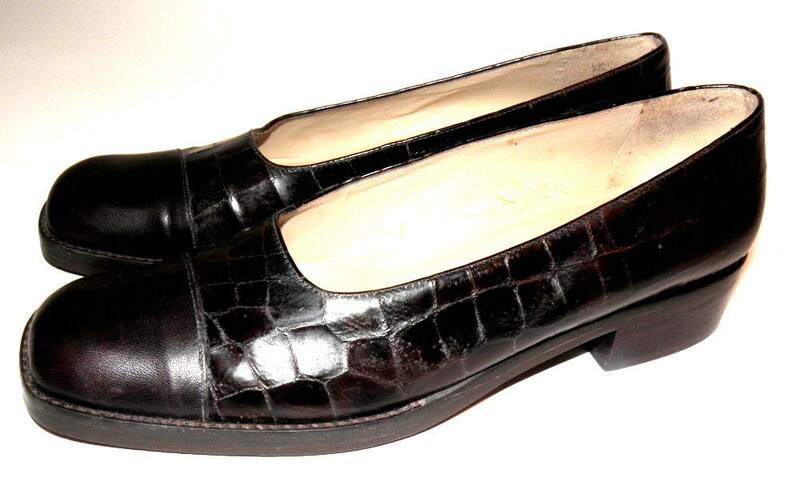 Gorgeous, vintage condition shoes. 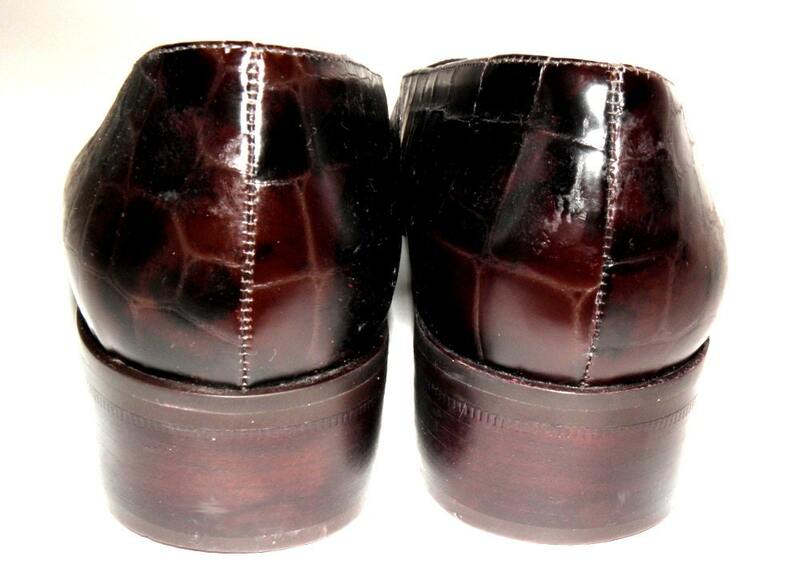 Low 1.25" heel. 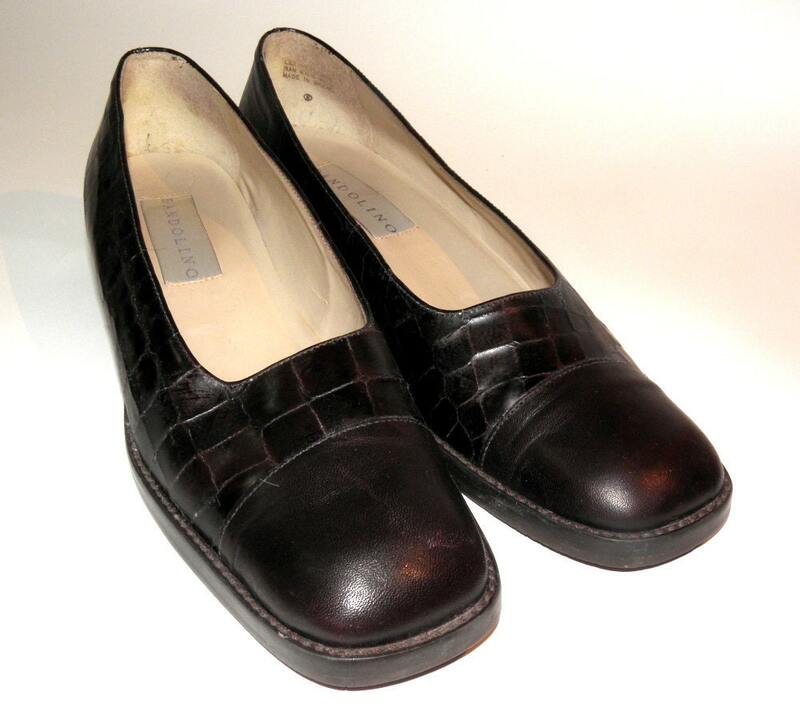 A beautiful brown leather shoe that would go great with pants or a dress. These are used shoes with only minor wear, no odors, have been cleaned and sanitized using environmental friendly products. Please see photos and ask any questions. 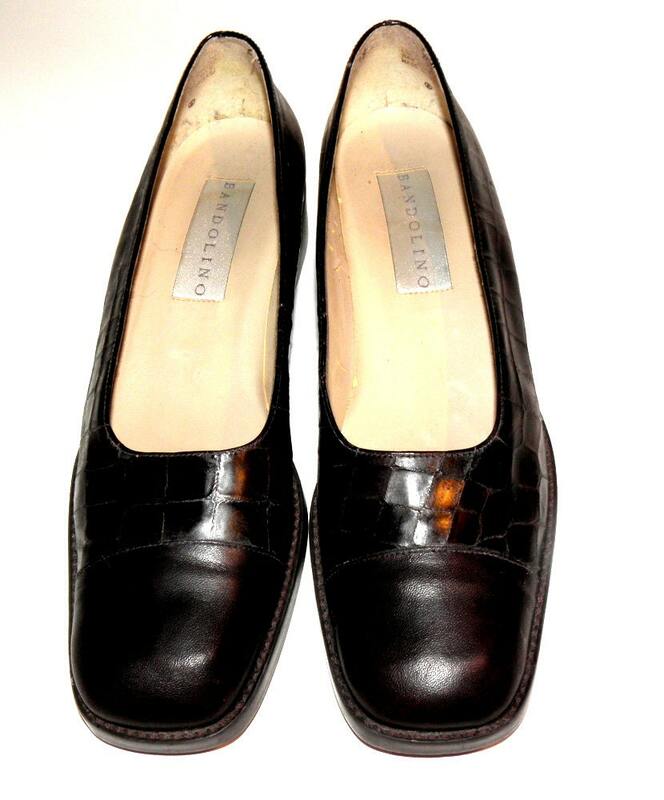 BUY NOW to own these stunning Nineties BANDOLINO PAGEANT Shoes!